Yami Gautam definitely knows her way around, when it comes to making her character as authentic as possible. 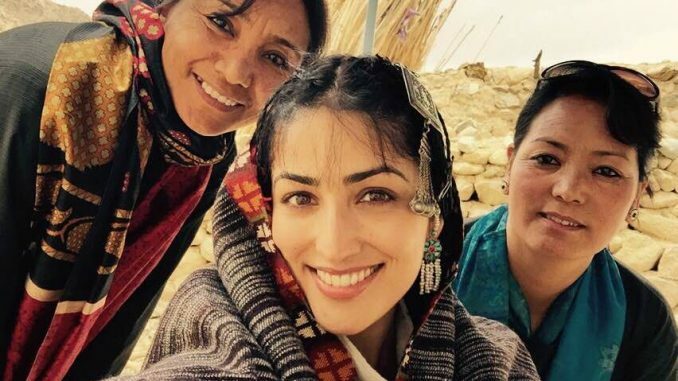 Yami who was shooting in Ladakh for her next film, decided to ‘go local’ to get her look right by asking local women from Ladakh to do her hair and makeup, rather than employing professional stylists. Yami is playing a local girl from Ladakh in the film and her look is very different. When the makers were deciding her look for the shoot, Yami suggested they take help from the local people there. Yami wanted to get the look right and personally asked the local girls out there to help her with hair and make up. Both , Yami and the makers were thrilled with the results. “It is a different look. Some local girls were very sweet to help with it,” says Yami.